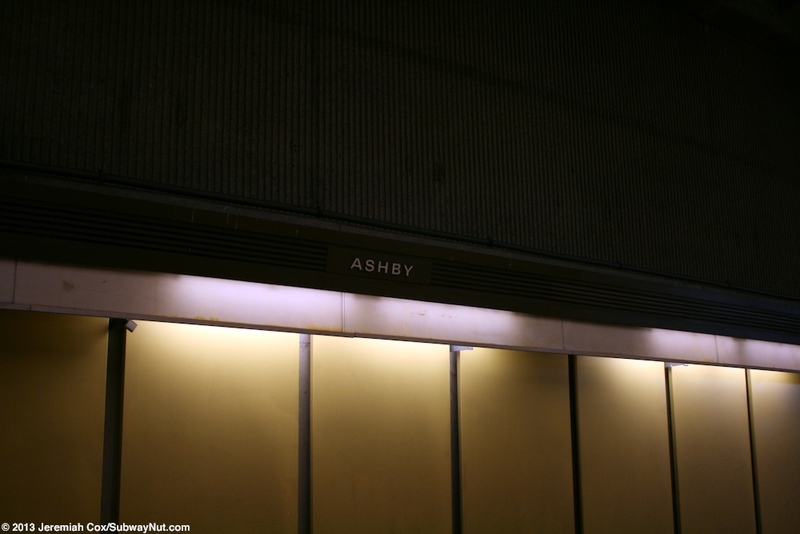 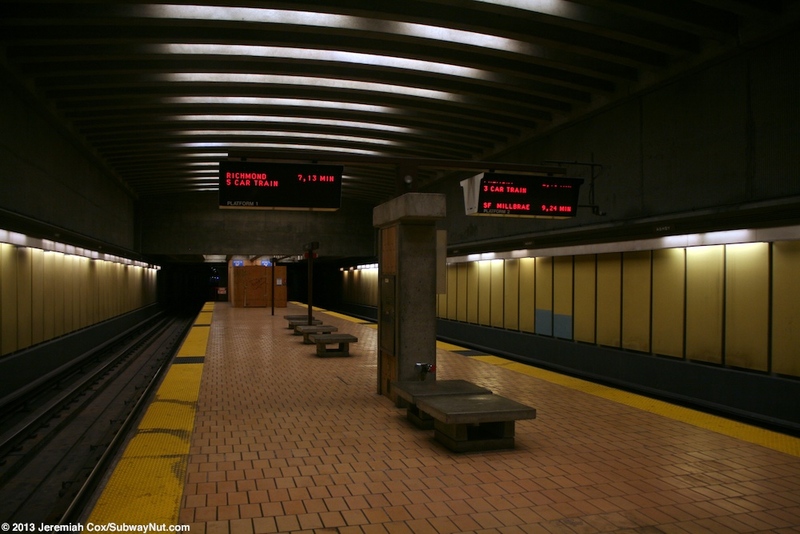 Ashby is an underground BART station and the southernmost station in Berkeley and opened on January 29, 1973. 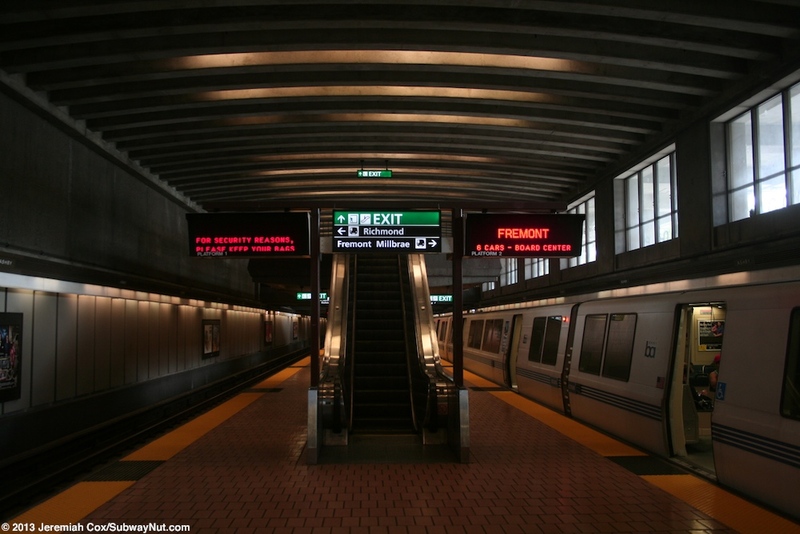 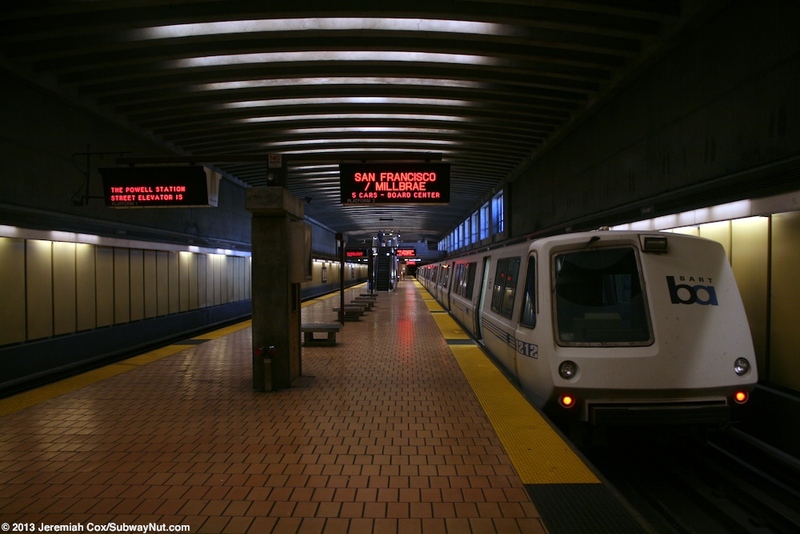 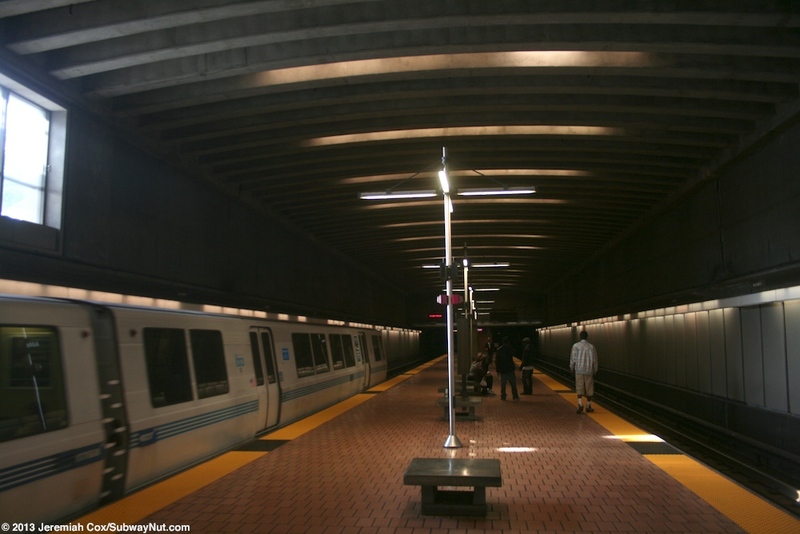 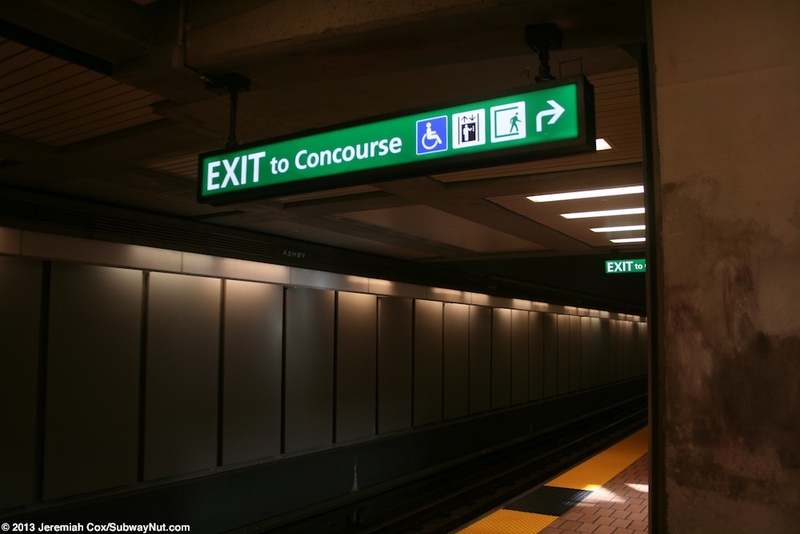 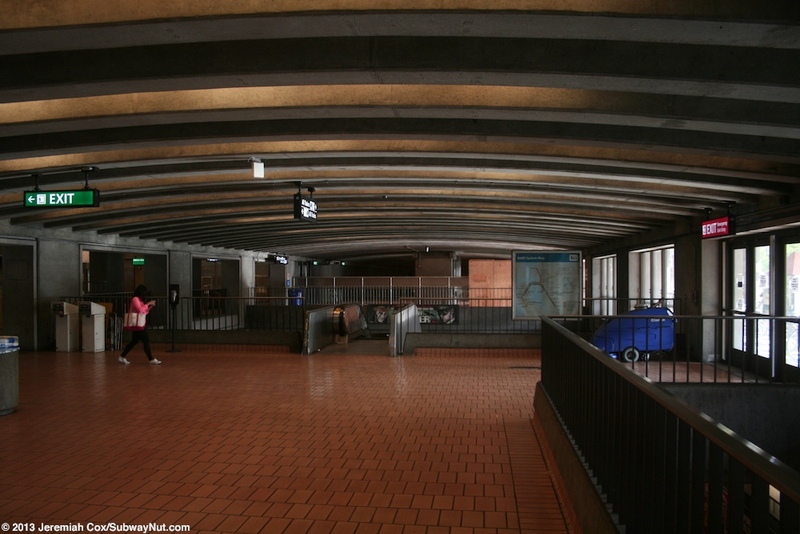 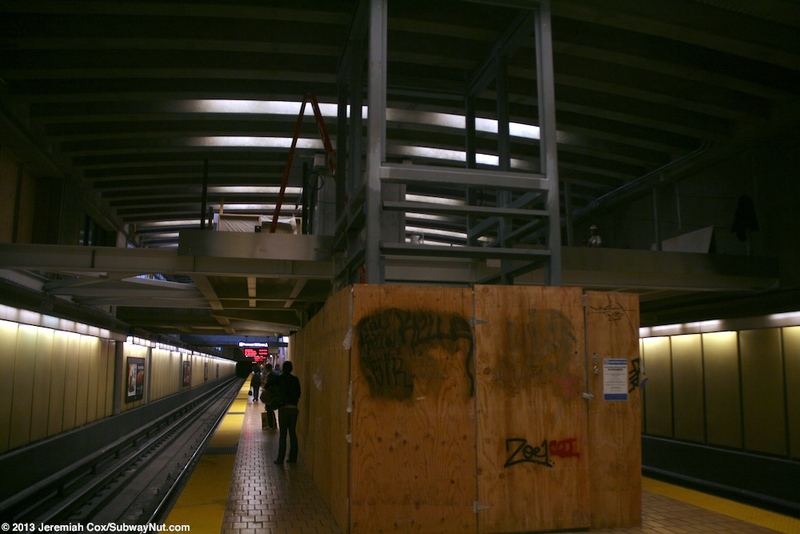 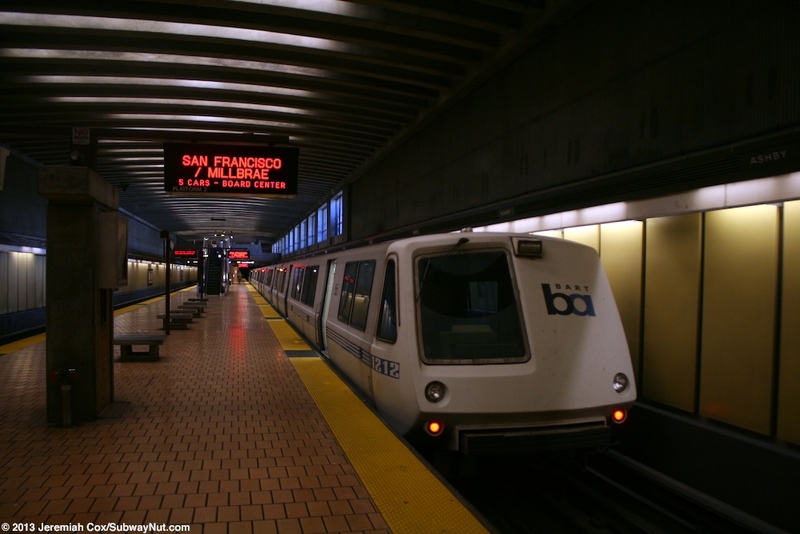 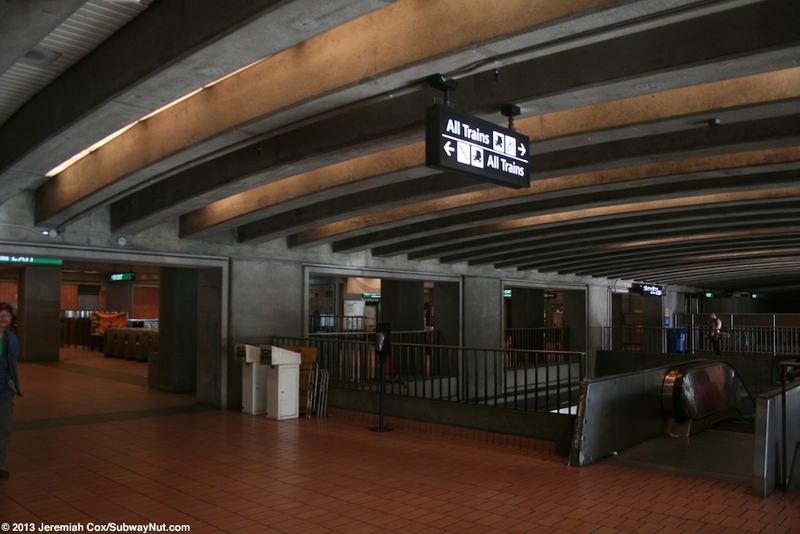 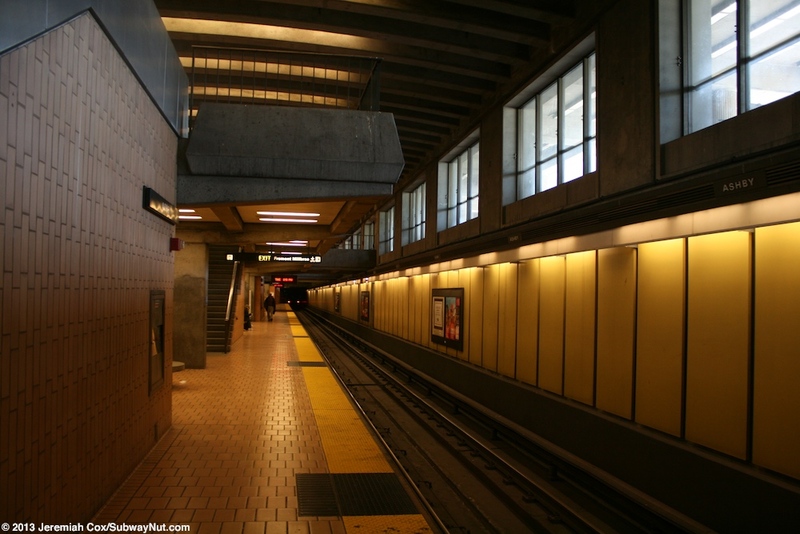 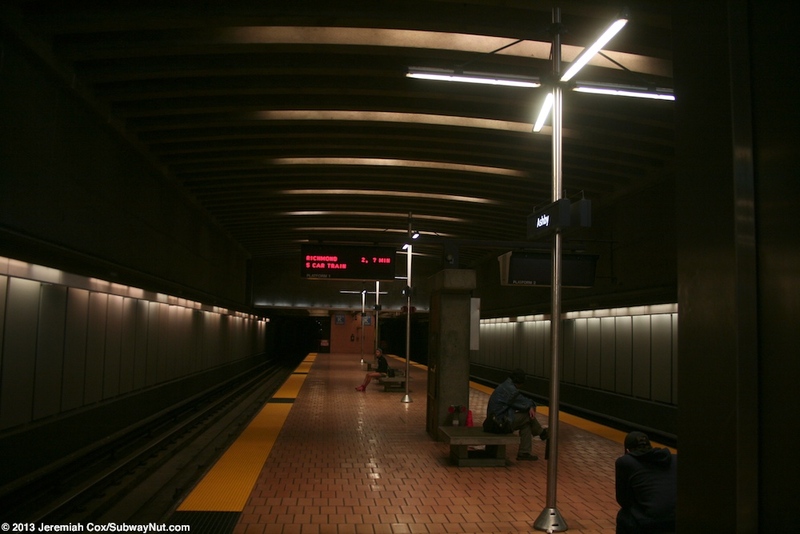 The station was originally designed to be above ground until Berkeley Tax Payers decided to provide an extra subsidy to keep BART underground through Berkeley. 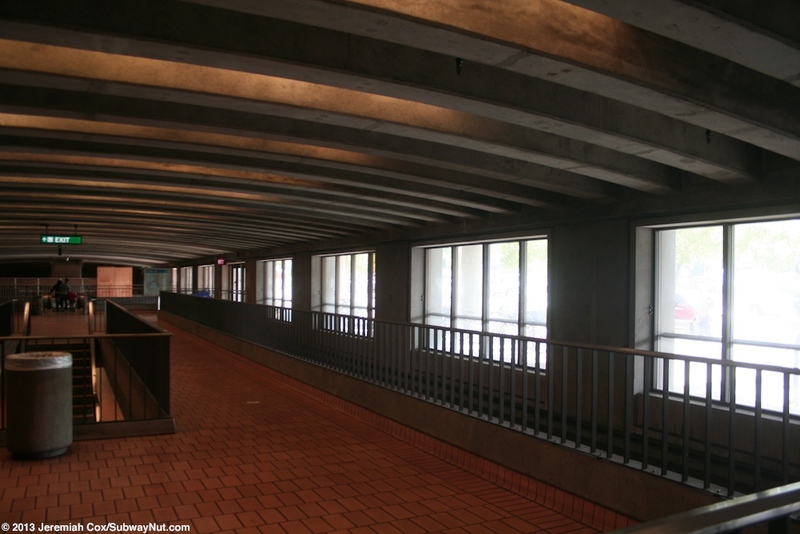 This makes it one of the few underground stations with a 715 space Park & Ride Lot. 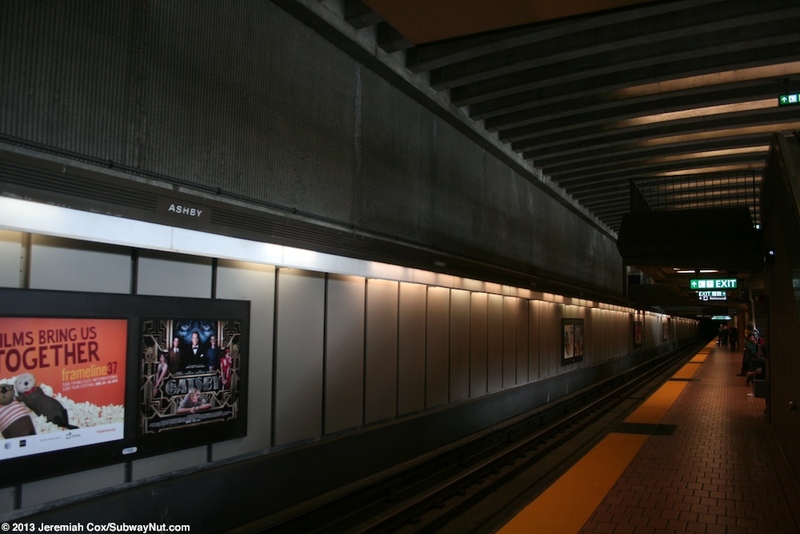 The stop though is just beneath the surface with Adeline Street built directly above the station and is at a higher level than the station's parking lot. 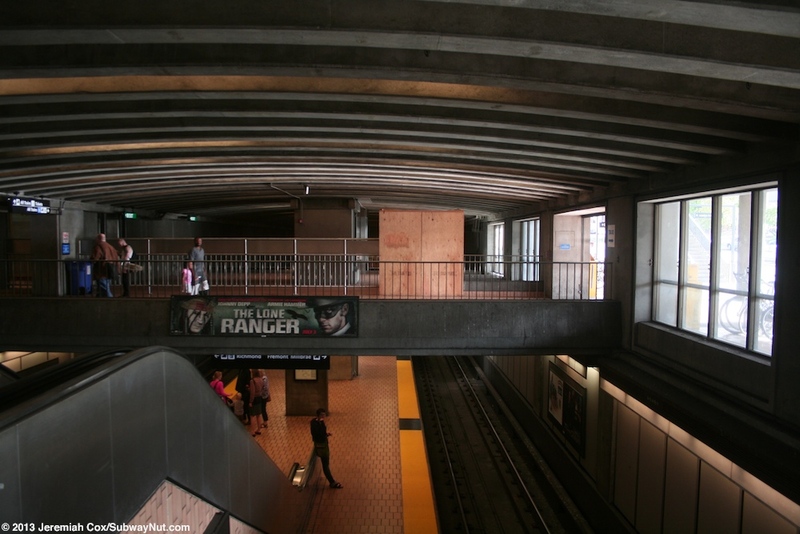 Windows above the sides of the Fremont/Millbrae-bound platform let light shine down and into the station from this parking lot although this street is at a level about a story above the main parking lot. 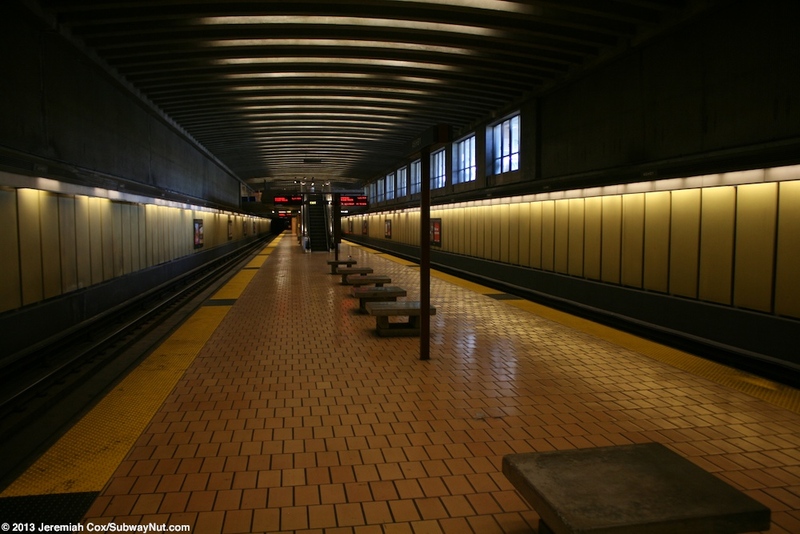 The platform has a brown and yellow color scheme with yellow panels along the walls of the tracks interrupting the concrete and a brown floor with brown tiles. 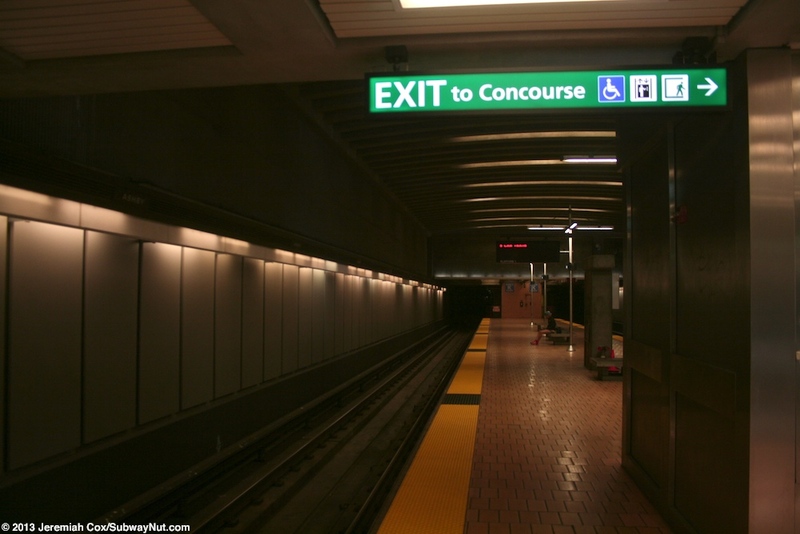 To leave the platform is a staircase, two escalators, and elevator up to the mezzanine and exit. 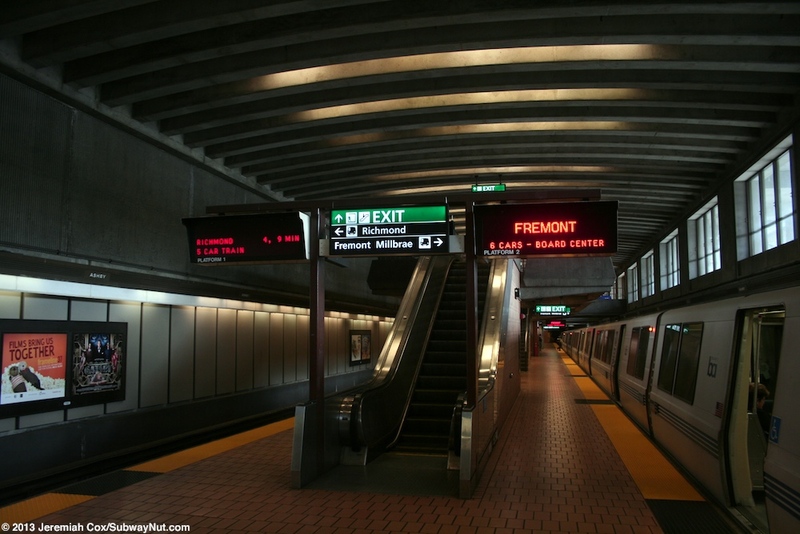 This leads up to only emergency exit doors through the glass walls above the Fremont/Millbrae platform so all passengers must walk to fare gates over the Richmond-bound platform that are parallel to it. 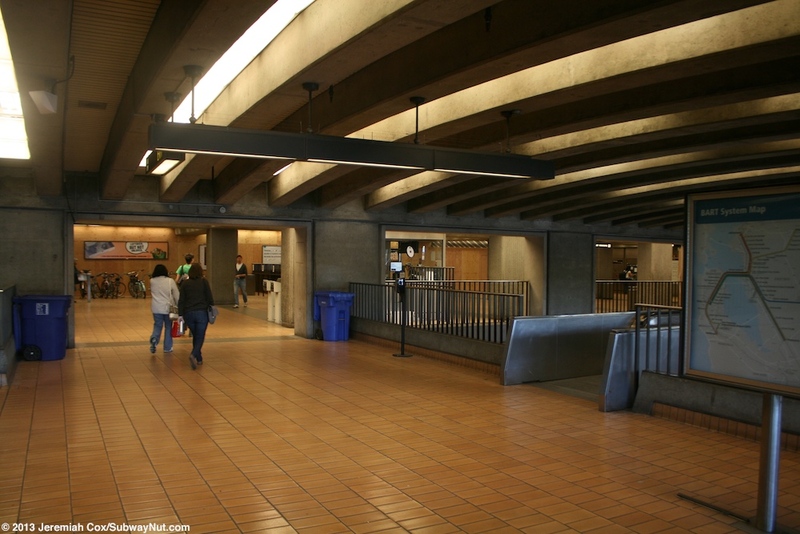 After passing through the faregates there is another bridge across the station platforms and over to the main parking lot accessed from MLK Jr. Way. 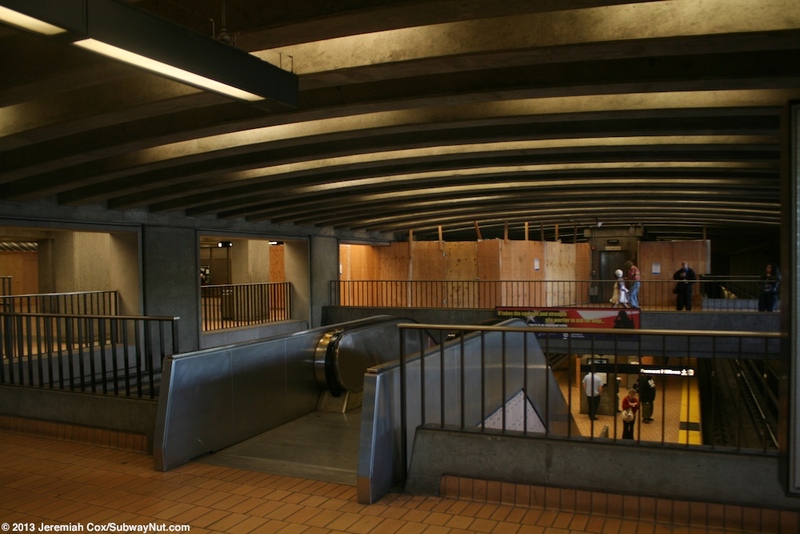 Staircases and another elevator lead up to Adeline Street above the station.